The shooter killed himself after shooting two people and releasing two children hostages on Sunday night. UPDATE: The Ada County Coroner has released the names of the suspect and the victims that died during a shooting and police standoff in Meridian on Sunday night. 47-year-old Jose Pablo Diaz DeLeon and 40-year-old Heidi DeLeon both died from multiple gunshot wounds. The shooter, 39-year-old Edward Lynn Epps Jr., died from a self-inflicted gunshot wound. Police are investigating a shooting in Meridian after a standoff, near Black Cat Road and Cherry Lane, on the 4900 block of Charles Street. Police received reports of shots fired at about 3 p.m. Sunday. Before the shooting, a 39-year-old man arrived at the home and a fight started between him and a 47-year-old male and a 40-year-old woman, according to Meridian Police Deputy Chief Tracy Basterrechea. The suspect shot and killed the man and woman inside the house with a handgun. During the fight, a 13-year-old girl escaped the house and ran to a neighbor's house, calling for help. The suspect remained inside the home with an 11-year-old girl and a 10-year-old girl. During negotiations with police, the suspect released the 11-year-old girl and later released the 10-year-old. After releasing the children hostages, the suspect killed himself inside the home. Both children do not have any physical injuries. The shooter is known to the victims. 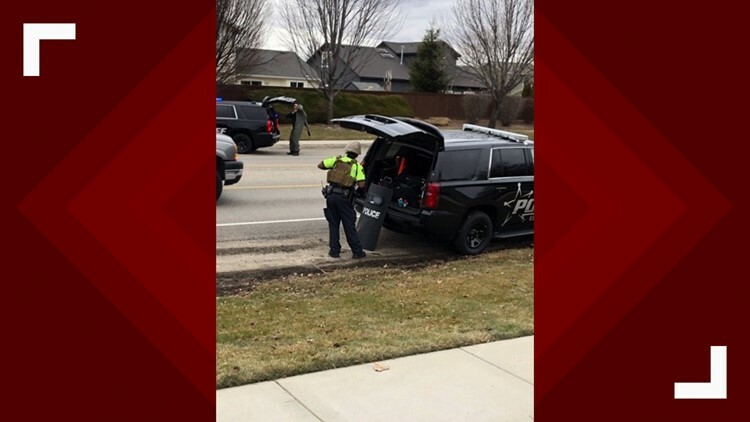 During the standoff, two armored vehicles arrived at the scene and police surrounded the house, according to KTVB crews on scene. Police allowed EMS vehicles through to the scene early on in the standoff. KTVB crews also saw Ada County Sheriff Deputies, Ada County Paramedics, Meridian, Boise and Garden City Police and Idaho State Police at the scene. There is a larger police presence off of Blackcat Road and Cherry Lane in Meridian, that started at about 3 p.m. Sunday.